Travel theme: Handmade | Oh, the Places We See . . .
For more handmade items in Ailsa’s challenge on Where’s My Backpack this week — Travel theme: Handmade — click here. 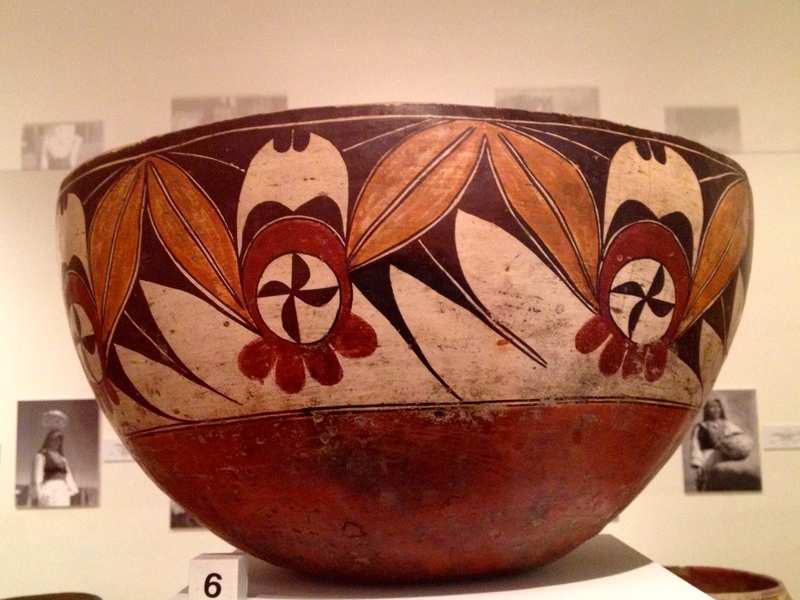 This entry was posted in New Mexico, The West, Travel Theme and tagged Acoma Pueblo, Haak'u Museum, owl pottery, pottery, Sky City Cultural Museum, Travel theme: Handmade. Bookmark the permalink. Very special handmade items. Beautiful! Thanks so much, Amy. It’s fun looking through old pictures to find something for the themes. I do, too, Linda! So much detail in all this pottery, but those fine lines are quite remarkable. Yes indeed they are wonderful pieces. 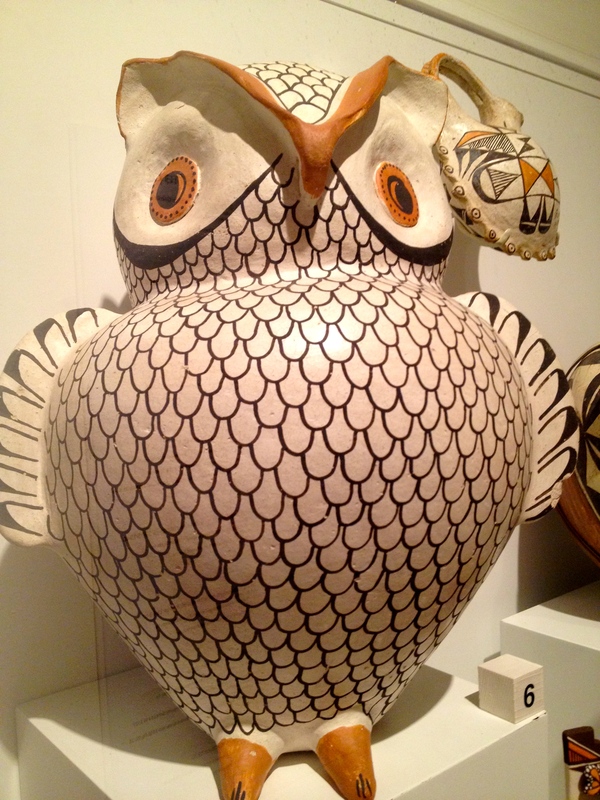 Is the owl symbolic of something in particular in Mexican folk art traditions? Thanks so much for taking a look and commenting. I don’t exactly know how to answer your question about the owl. I “Googled” Mexican folk art owl and several sites came up, but nothing much on why the owl is part of the folk art. If you find something, let me know. Thanks for taking a look. These lovely pots really appealed to me. The patterns are so similar to quilt patterns and even some patterns I saw in Africa. Really liked them!